It is with deep regret that we announce the passing this morning of a true South African military hero – the highest decorated South African Defence Force member and the legend that was Major Arthur Walker HCG and bar SM. You will be missed by many in the veterans circles and beyond, may your family be embraced by the love and tender care of your heavenly father. Major Arthur Walker HC and Bar SM was a South African military hero of which there will never be an equal, he was South African Air Force helicopter pilot who was awarded the Honoris Crux Gold decoration, not once – but twice, during the South African Border War. The Honoris Crux Gold was the highest military award for bravery awarded to members of the South African Defence Force at that time – so his feat of obtaining two of them can never be repeated again. Born 10 February 1953 in Johannesburg he matriculated from King Edward VII School in Johannesburg and went to the Army in 1971. He obtained his pilot’s wings in 1977 and flew for 7 Squadron, Rhodesian Air Force, before re-joining the South African Air Force in 1980. While flying Alouette III helicopters based at AFB Ondangwa in 1981 he was awarded the Honoris Crux Gold for risking his life during a night operation in Angola, by turning on the lights of his helicopter to draw enemy fire away from another helicopter. 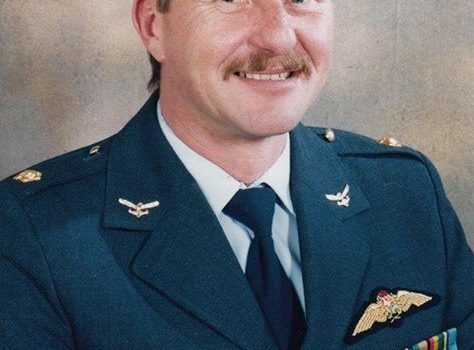 “During January 1981, two Alouettes, with Lieutenant Walker as flight leader, carried out close air support operations resulting in the Alouettes coming under intense enemy artillery and anti-aircraft fire. He only withdrew when ordered to do so. Later Lieutenant Walker returned to the contact area to provide top cover for a Puma helicopter assigned to casualty evacuation. Again he was subject to heavy enemy anti-aircraft fire. During the withdrawal the second helicopter developed difficulties and called for assistance. Yet again Captain Walker returned to provide top cover, drawing virtually all the anti-aircraft fire to his Alouette. His courageous act prevented the loss of an Alouette and crew. In December 1981 he was cited for landing in enemy territory to search for and rescue the crew of a helicopter that had been shot down. “During December 1981 Captain Walker was again requested to provide top cover for the evacuation of a seriously wounded soldier. On take-off with the evacuee his number two helicopter was hit and crash-landed. Without hesitation and with total disregard for his personal safety, Captain Walker landed near the wrecked helicopter and immediately searched for the crew. Eventually the situation became suicidal, compelling Captain Walker and his crew to withdraw. When he was airborne he spotted the missing crew and yet again, without hesitation and despite the fact that virtually all enemy fire was now [aimed] in his direction, he landed and lifted the crew to safety. Posted for The South African Legion by Peter Dickens – with sincere thanks to Arthur for sending us a full colour image of himself in uniform only just a month ago – Rest in Peace Arthur, the world is a poorer place without you, and the South African Legion salutes you sir. Our most sincerest condolences to his family and friends in this very difficult time. At the going down of the sun …we will remember him.